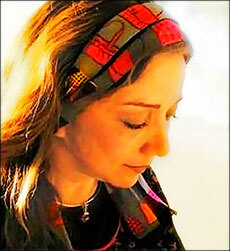 It is a huge honor to introduce the SOTGC readers to Dr. Zohreh (Zoe) Ghahremani. Her daughter Lilly recently gave us a marvelous interview, and based on some of her answers, I reached out to Zoe and asked if she would do an interview for us as well. Zoe is the author of four books: The Comiserator is in Persian, Sky of Red Poppies which was published in 2010 was her first English novel. The Moon Daughter will be released later this year and her satirical memoir as a dentist, Drill, Fill & Bill, awaits its turn and the right time! She is currently working on another novel titled The Basement. Following decades of life in Chicago, where she taught at Northwestern University while practicing pediatric dentistry, she moved to California in 2000 to be a full-time writer. She lives in San Diego with her husband, Gary, and close to their three children Lilly, Susie, and Cyrus. Her work has won several awards, including first place in California Stories 2005, San Diego Book Awards 2004, and more. Her articles have appeared in multiple magazines in the US. 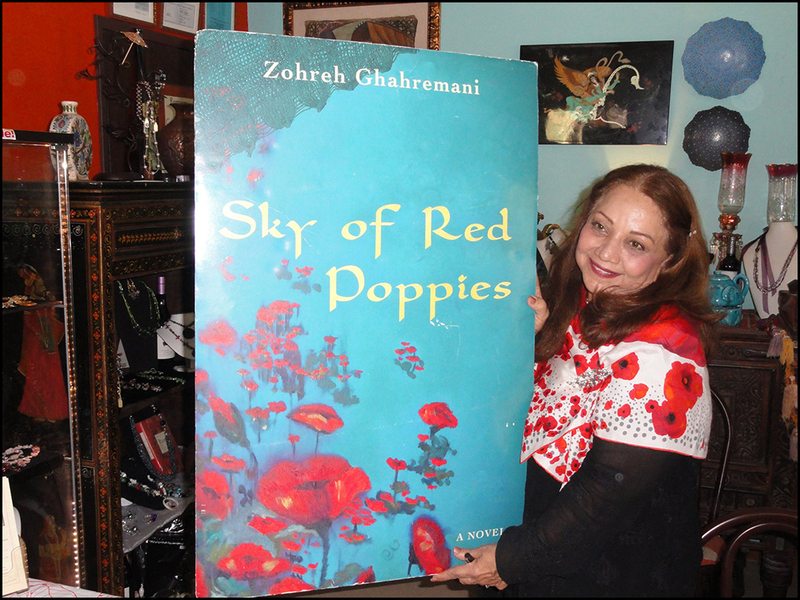 Sky of Red Poppies won second place in this year’s San Diego Book Awards and is now a One Book, One San Diego for 2012. These two ladies have a resounding theme in common: they are multi faceted and based on my interaction with them, have all the charm and humility that great leaders must exhibit. What is the one trait you admire most in others? Honesty. In a world where people aim to make an impact, honesty has become a rare commodity. What is the one trait you admire most in yourself? Which quality or attitude internal to women have you observed that sets them back in the workplace? Jealousy. While competition can help you to advance, jealousy is destructive. Which external situation/circumstance do you believe sets women back in the workplace? Regardless of our social progress, this is a male dominated world. Granted, the situation is worse in some countries, but it continues to go on even here. When I taught at the university, it shocked me to find out that most female faculty had a lower income than their equally ranked male colleagues. In the work place, a strong voice makes a man a leader and a woman . . . well, you know the words they use! What is the hardest lesson for working women to learn? The art of separating home from work. This is especially true for a mother as she is always torn between the two. Which book is on your nightstand? I alternate between my two languages. I’m nearly done with a lovely novel in Persian by Zoya Pirzad titled, We Will Adapt, and I’m also enjoying a beautifully written historical fiction by Madeline Miller, The Song Of Achilles. What woman do you feel is a role model in today’s working industry (could be any industry)? Oprah Winfrey. She has single handedly proven that any existing obstacle(s) (be it social, racial, economic, or gender related) can be overcome. The quality you admire most in a successful man? Modesty. It takes a big man to maintain his human stature even when the world sees him as a giant. The quality you admire most in a successful woman? Femininity. A woman can be as successful as any man, if not more, but that doesn’t change her gender. There is deep beauty in the tenderness a woman possesses and it would be a pity to lose that. A virtue you believe is underrated? Trust. We use the word too lightly, but do we really understand the weight it carries? I try to find joy in each moment. Happiness is not a gift that will arrive at some point. It is rather the discovery of good fragments here and there that add up. If we learn to live happy moments, soon we look back and see what a happy day, year, or life it has been. What, in your mind, would be the greatest of misfortunes? Losing the ones you love. What do you believe is a working woman’s greatest fear? Fear has two main sources: Not knowing and/or insecurity. Age has always been an issue with women, but that is an insecurity that knowledge can diminish. Antiques. Once you become interested, it is like a disease! In your career, what has been your greatest regret? Do you feel this is a male oriented regret or one shared by men and women alike? I really don’t have time for regret. Years ago, when I used to play tennis in a league, my coach gave me a valuable lesson. “Don’t waste your time thinking about the shot you just missed. You’re only as good as your next shot.” I also believe all bad things happen for a valid reason, albeit unknown to us. As you know, I believe I was a writer all my life, but was encouraged to study dentistry. Throughout years of being a successful dentist, I stole any chance I could to write something. Today I could look back and consider those years a time I had lost. But there’s also the fact that years of working with people and teaching large classes at the university prepared me for public talks and “author appearances” of today. Cite an example of a woman who you feel made a great achievement? Mother Theresa. She devoted her life to helping others and found enough love in her big heart to nurture the world. I think there’s a little bit of her in all mothers. She gave a new meaning to humanity and for that, she will forever be my idol. Compassion, unselfishness, dedication, perseverance, and opportunity. What do you think is the greatest difference between our mother’s generation and our own? They kept their children around them while we give ours the wings to fly. One piece of advice to young women in the workplace. Choose a career you enjoy the most. The impossible is only in your head because we live in a world that turns dreams into possibilities, so take advantage of it. If you feel you have gone down the wrong path, find the right one. And no matter how much you like what you do, work to make a living, but never live to work.